I read. I mother. I write. I pray. Pay Me to Write for You! 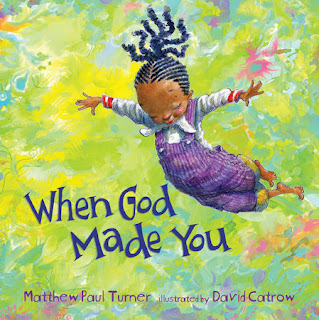 Mom friends, Dad friends, Teacher friends, and people of the Earth, if you need a book for kids, you must get your hands on When God Made You by Matthew Paul Turner (and illustrated by David Catrow). I have heard great things about this book from people I respect, so when it arrived in my mailbox yesterday, I immediately sat both kids down and read it. Then, I made my husband read it to them again right after. And, I cried. I cried because it is so beautiful. This book is stuffed full of meaningful truths about the way God designed each of us uniquely and gifted us with individual talents. It emphasizes the idea that God smiles at you and loves you just as you are. As I read over the lines, I got goosebumps over and over. The lines in this book are the lines I have been trying to teach my own children. God loves you. You are special. Live a life filled with love. Loving God, loving others, and loving yourself. The rhymes are clever and they flow – unlike some children’s books where the rhyming becomes forced and awkward. 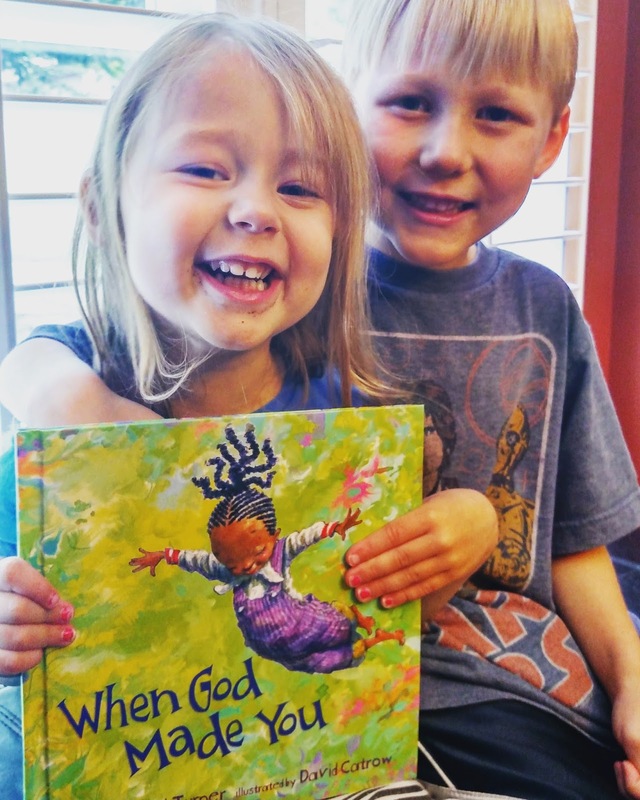 The illustrations are bright, colorful, and represent the beauty of diversity in the world around us. It is pretty enough to be a coffee table book – but, of course, I think it will end up being a well-worn book that moves from room to room in our home. This book is a gift, y’all. A gift I plan on giving every new baby who enters my life. When I attend a baby shower or come to visit with a friend who has a new baby, I always (always) gift them with a book. Pregnant mom friends, the secret is out. I might as well buy this book in bulk because I am giving it to all the babies. I received this book from Blogging for Books for this review. A former high school English teacher and librarian who now spends my days taking care of two very loud children. It’s taken 6 years of motherhood and over 10 years of marriage to finally start writing some of my stories. My goal is to make you laugh and realize life is not as perfect as it looks in pictures. My other goal is to discuss what I'm learning about in the books I'm reading and how I'm using books to teach my kids. Want a Regular Dose of Laughter and Literature? Subscribe here!